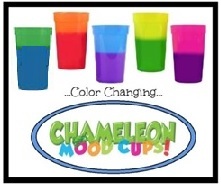 Wholesale Mood Cups magically change color right before your eyes! Customized with your logo, they are sure to make an impact! 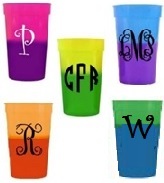 These color changing Mood cups are durable beverage containers and fun conversation pieces. Why get stuck with one color when you can have them all? The cold temperature of liquids in these colorful plastic cups will change the colors on the outside! This Mood cup is top shelf dishwasher safe and great for sports teams and family gatherings. The 17 ounce Mood Cup is made of durable plastic! Great for vinyl Too!